Take a look at a day in the life of a touring artist. 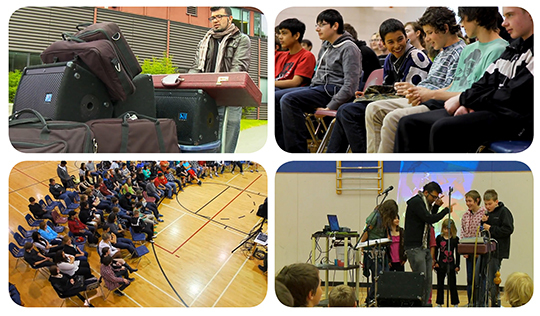 Rup Sidhu (aka RupLoops) loves to take his show on the road, performing at schools across British Columbia. In this short film, we see what it's like for an artist to "drive every major road in BC to its end", how educators view the value of art, and the impact that these performances have on young people in both elementary and high schools. Feeling inspired? Are you a performing artist interested in touring BC schools? 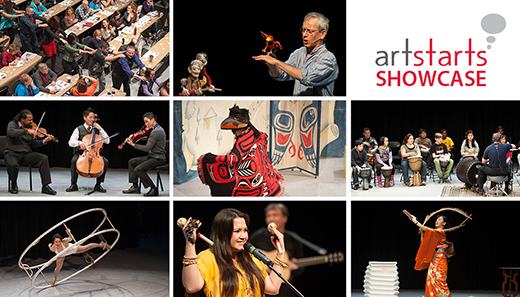 ArtStarts in Schools invites performing artists from all disciplines—theatre, music, dance, storytelling, interdisciplinary and more—to apply to our annual ArtStarts Showcase and Conference and be positioned to tour BC schools starting September 2014. What is the ArtStarts Showcase and Conference? The ArtStarts Showcase and Conference is Western Canada's most important performing arts showcase for school and community presenters interested in booking performances for young audiences. Approximately 85 delegates from all regions across BC as well as other provinces attend each year. This showcase opportunity offers emerging and established artists the chance to present a 12-minute sample of their current touring show followed by a question period. Only artists accepted to perform at the ArtStarts Showcase and Conference are listed in the Artists on Tour Directory, an annual resource (print and online) produced by ArtStarts which includes a listing of professional artists available to perform in urban, rural and remote regions across BC. The Artists on Tour Directory is accessed by schools and districts of the province, who book performances through ArtStarts' Booking and Touring service. Last year, ArtStarts booked approximately 1,800 performances in 200 communities across BC. The ArtStarts Showcase 2014 will be held at the Orpheum Annex in downtown Vancouver from February 26 – 28, 2014. The deadline for showcasing artists to apply is October 11, 2013.